Kershaw Antelope Hunter II. 8 1/8" overall. 3 5/8" 8CR13MOV stainless blade. 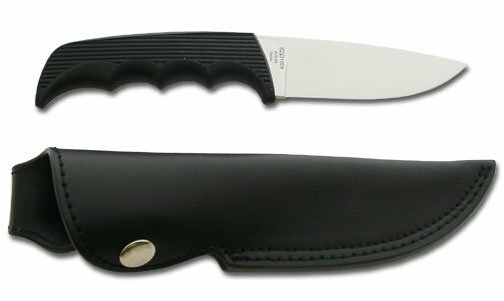 Finger groove black co-polymer handle. Black leather belt sheath.